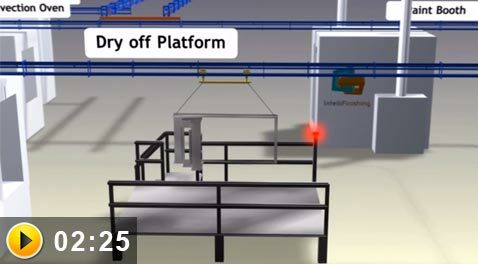 The best way to understand how an IntelliFinishing automated complete finishing system works by viewing our videos, 3D animations, examples and more. 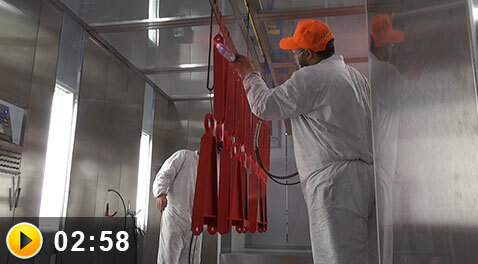 The same benefits and features apply to both powder coating and wet paint systems. 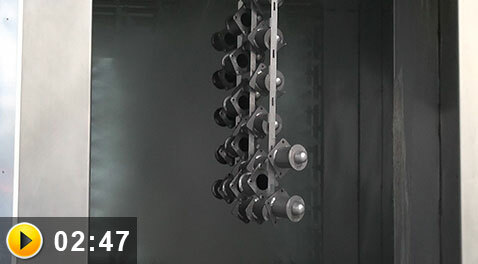 Our chainless, friction-driven conveyor propels the carrier with a spinning drive tube and easily moves in forward and reverse. 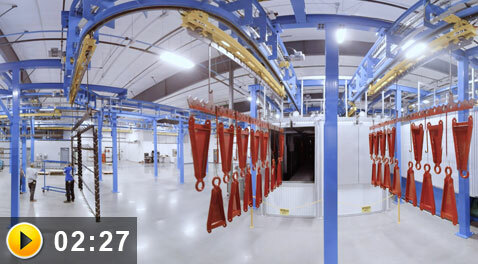 Complete, automated powder coating system offering flexibility for a variety of part sizes, thicknesses and process times. 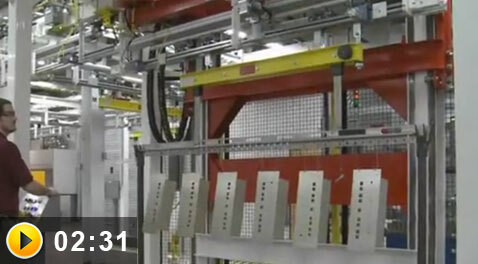 This demo conveyor displays the features of a chainless IntelliFinishing automated finishing system. 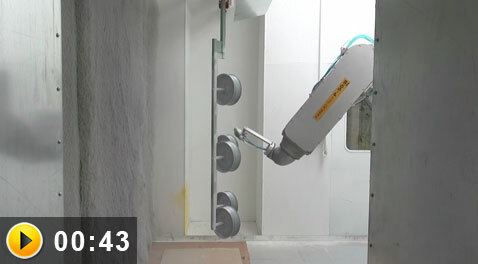 View the benefits and features of an IntelliFinishing system through these 3D animations and live footage videos. 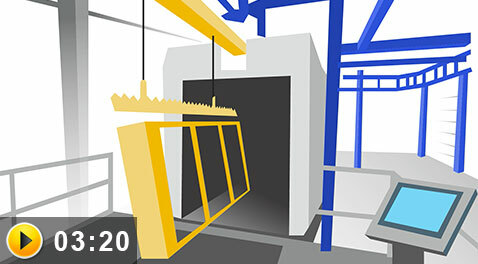 Take a 360 video tour of an IntelliFinishing completely automated powder coating system – VR glasses or desktop views available. 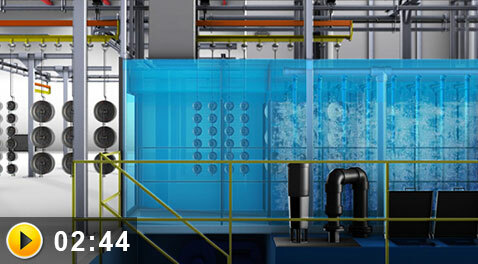 Animation & real footage combined to highlight features only available on a completely automated IntelliFinishing system. Part families can move at variable speeds (including stopping in a process) without affecting the rest of the line through the use of recipes. 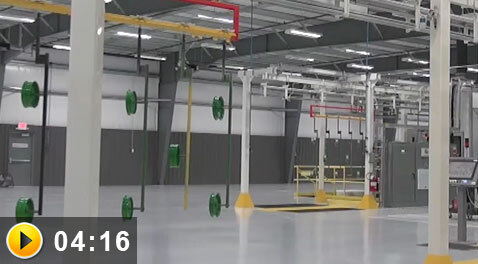 IntelliFinishing installed a complete paint system, with parts tracking & data logging, in a space where no other system would fit. 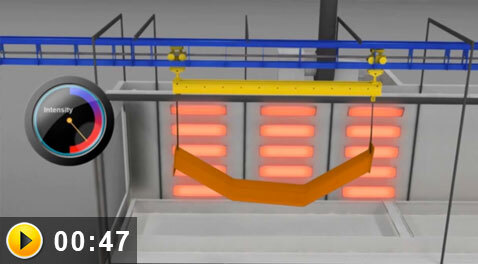 The Pathfinder is a complete automated powder coating system with recipe-based process controls priced at $1.5M. 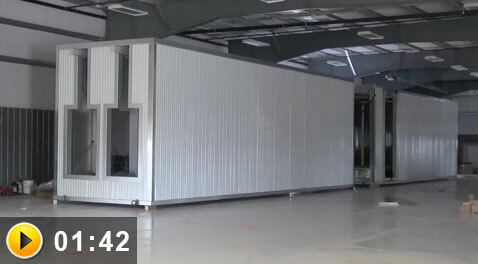 Tour a construction site as we install an IntelliFinishing powder coating system for an industrial fan manufacturer. 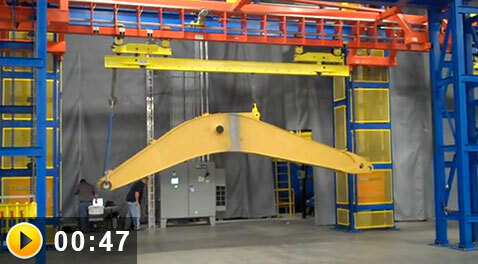 684' of conveyor and all equipment were installed in just 39 days for this complete paint system. 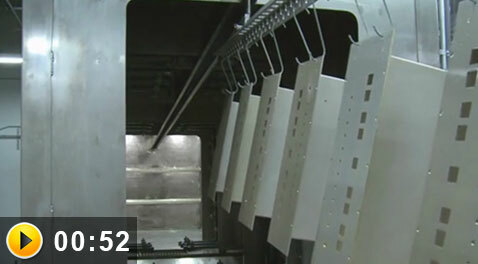 Any of the components featured in these videos can be added to an IntelliFinishing powder coating or wet paint system. IntelliFinishing Paint Systems have multiple drives allowing different sections of the system to be designed with variable speeds. 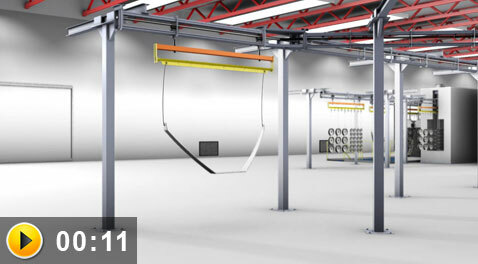 Part recipes and smart controls allow you to customize process times, including wash and cure, for individual load bars. Recipe history provides quality and consistency. Search by job number, part number, color or any number of variables to view previous recipes. 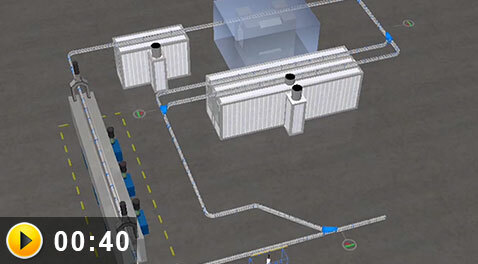 The smart controls included with an IntelliFinishing automated finishing system give you entire plant visibility at your fingertips. 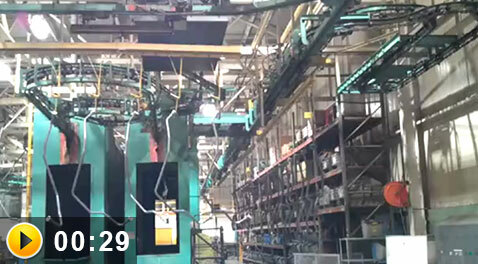 IntelliFInishing ovens are the most efficient in the industry plus they provide ultimate flexibility in your complete paint system. 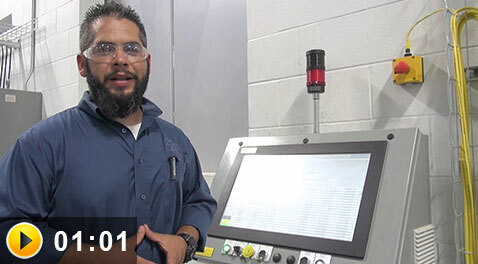 Integrating a FANUC robot into your complete finishing system improves safety, reduces waste and increases speed. 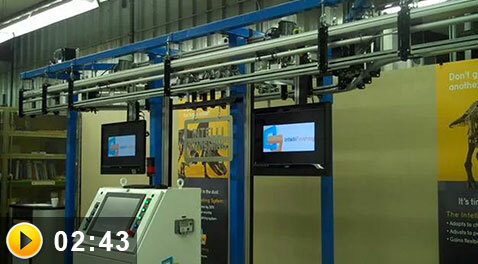 IntelliFinishing automated finishing systems are inherently scalable to meet prodution and process needs. 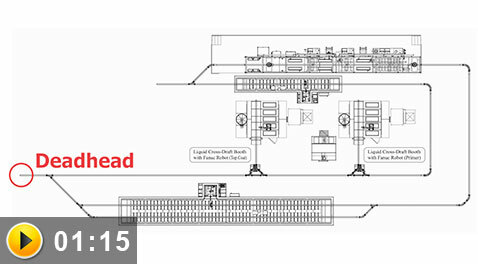 Adding a deadhead to your complete finishing system allows for nearly unlimited layout options and flexibility. 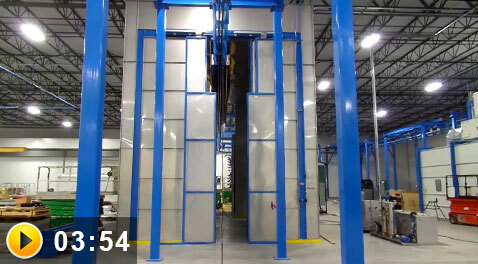 Unique shuttle capabilities and the chainless conveyor allow for up to a 40% reduction in floor space and tremendous layout flexibility. 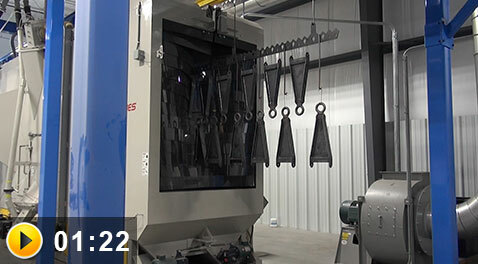 Spurs are easily incorporated into an IntelliFinishing system and can be used for masking, loading and unloading or inspection areas. 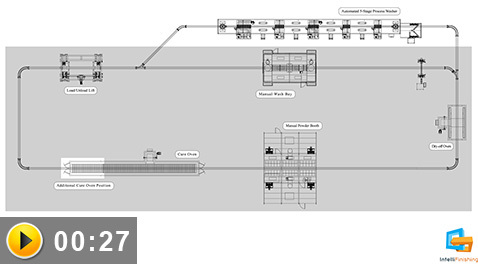 Smart controls used with recipes can be programmed to accommodate variations in wash time, pressure and chemical process. 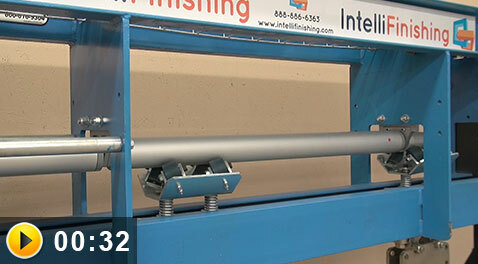 The unique conveyor of an IntelliFInishing system allows you to stop parts in a process without affecting any other part of the line. 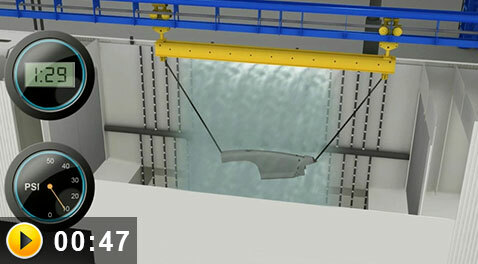 A lift (or lowerator) is added to an IntelliFinishing system for load/unload areas or as a transition between elevation changes. 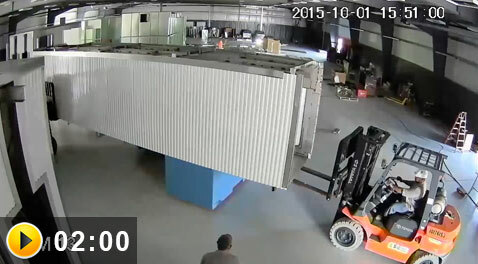 A lift provides a safe and ergonomic way of loading and unloading heavy and/or oversized parts. 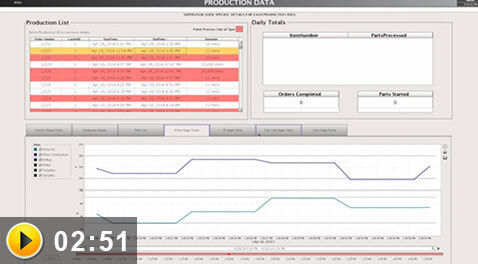 Smart controls monitor and track part data at any point in the system. Great for product validation and analysis. An IntelliFinishing system requires less maintenance and installed in half the time of traditional power and free or monorail conveyors. 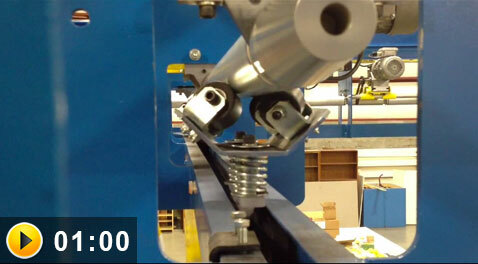 Our chainless overhead friction-driven conveyor requires minimal maintenance, including preventive maintenance. 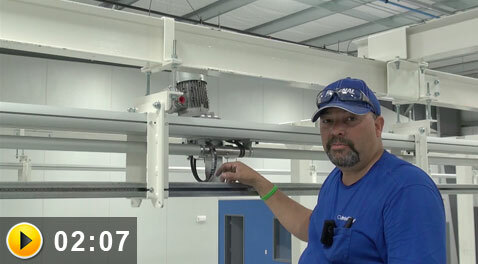 Ovens are delivered in modular sections – pre-fabricated, pre-wired and factory tested – ready to bolt together for quick installation. 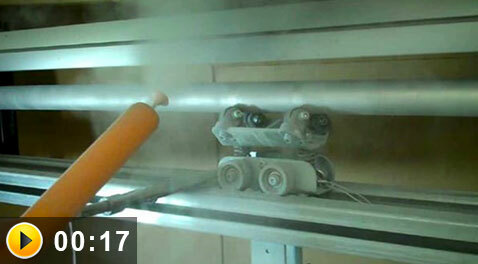 An IntelliFinishing friction driven conveyor undergoes rigorous porcelain overspray testing. 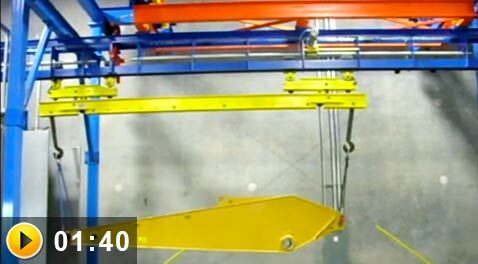 Example of part sway on a traditional overhead monorail chain conveyor. 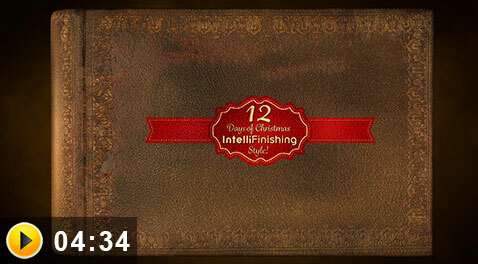 Learn about a turnkey finishing system with the 12 Days of Christmas – IntelliFinishing style.